This is like a fire sale for a quality pair of casual jeans. Great thing about these being black - started to get some slack at work about wearing worn denim on casual Fridays. These have a more classy look. Very comfortable, how can you beat the price at under $11 ? 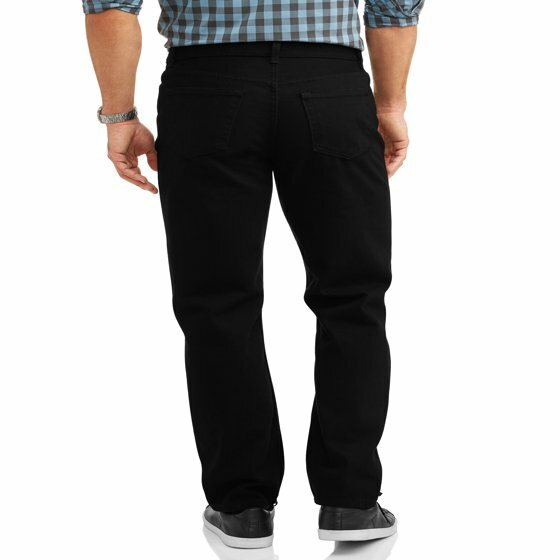 i tried out two pairs of these pants in my relaxed fit jean size and they felt great. the material is soft not stiff and feels so comfortable and good to me. the fit is loose and like i wanted. i purchased ten pairs after testing them out. i am very happy with this purchase. Nice durable and very soft. If you have purchased the other colors as deep blue it is tlsame soft material. The regular fit black ones in the WM store are much stiffer. Great fit and true to size! So you don't have to worry about them being to right as other brands can be. Great price. 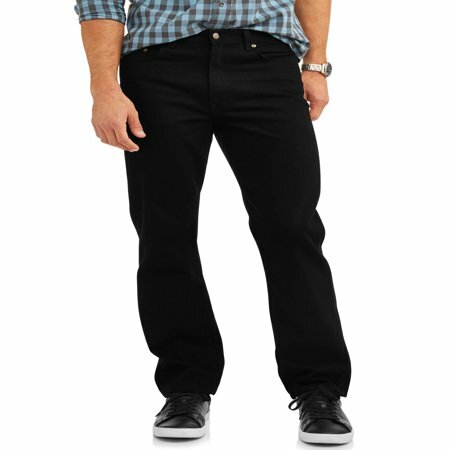 I ordered these for my husband and he absolutely loves the fit and he is satisfied with the quality of these jeans. He has received many positive compliments. I will be ordering more and the price, I can't go wrong.. I really like these jeans. They are comfortable and very affordable. You can't go wrong with these Jean's! I just wish they would keep them in stock. If you're thinking about buying them, buy multiple pairs. I only bought one pair and they were out of stock by they time I got them in and wanted to reorder. After reading the other reviews, I bought these jeans for my husband. He has worn the Faded Glory brand for several years and since they are no longer available, and other customers were recommending these, I thought I'd give it a try. The jeans fit well and the color is fine but the weight of the fabric was disappointing. Since they are new to us, we'll have to wait and see how long they last. If you are looking for lightweight jeans, these might be just the ticket! These jeans seem to have replaced the Faded Glory brand. Price was the same and I expected the jeans to be so. Wrong! I bought the medium wash as I have for years. The new George brand are thinner cloth, not as durable, and sizing was incorrect (much too long for length requested. It seems to me that Walmart is trying to maintain an attractive price with a lesser quality product than before. After many years of Faded Glory jeans, I will be buying elsewhere because George jeans are unsatisfactory. My size is 36-34 for most jeans. However, for these jeans, they were too long and too baggy. I should've ordered 36-33. How was I supposed to know that. I've purchased 50+ pairs of these jeans over the last several years because my husband wears them to work daily. They used to be decent quality, but since the brand name changed from Faded Glory to George, I've seen a decrease in quality. The most recent pairs that I purchased ripped at the top inside corner of the back pockets after only being worn a couple of times. What happened?